Any business owner understands that making a great first impression is important. Often times this can be handing out business cards. That is why its crucial to have your cards created the right away and we’re here to help. 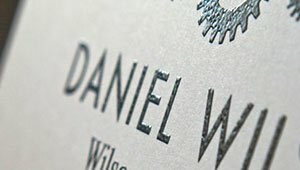 Thayer2Design will help you to design the perfect business cards to meet your needs. Or if you already have your own photography or artwork we can help you with just the printing as well. We make the process easy and affordable. Our Business Cards come in a variety of options such as double sided, full color or black and white, premium stock paper, gloss, and more. You can also choose to have your business cards made of 100% recycled paper that shows your business cares about the environment. 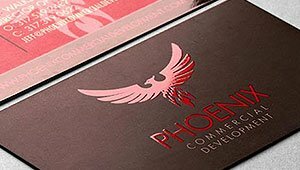 We’ll make sure that your business cards look exactly as they should and we provide free proofs of the final design so that what you see is what you get. So the next time you have that big client meeting in Syracuse you will no longer be embarrassed to hand out your business cards. Instead you’ll be the first one handing them out and making a great first impression. Learn more about the different options for your cards or head to the Contact Us section and ask how you can get started today! Raise your game with text that pops off the card in style. Capture the spotlight with a reflective, glossy finish that will be sure to wow. Set yourself apart from the crowd with a unique eye-catching foil. An effective business card should be styled to fit your business. 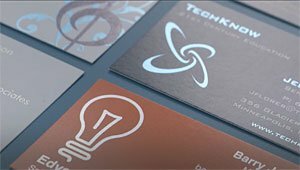 Choose from a range of durable stocks and specialty finishes, designing your unique business card has never been easier with Thayer2Design.